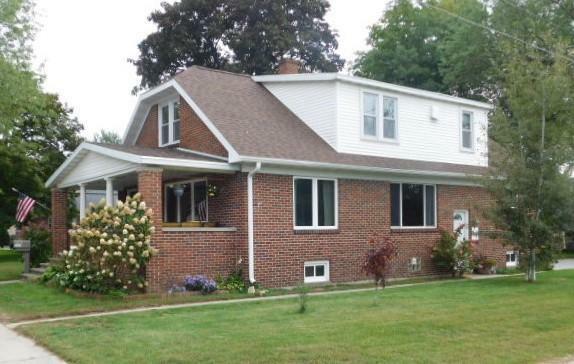 Beautiful red brick craftsman style home in the heart of Peshtigo. Kitchen boasts a breakfast bar with granite sink and counters. Additional beverage bar with butcher block counter top. Formal dining and spacious living room with elec fireplace. Main floor master with walk-in closet. Double sinks & jacuzzi tub in main bath and walk-in shower up with dual shower heads. Love a big yard but not the maintenance? Home neighbors quaint Harper Park. Perfect for all your sports of choice and ice skating in the winter. Seller is a licensed real estate agent.